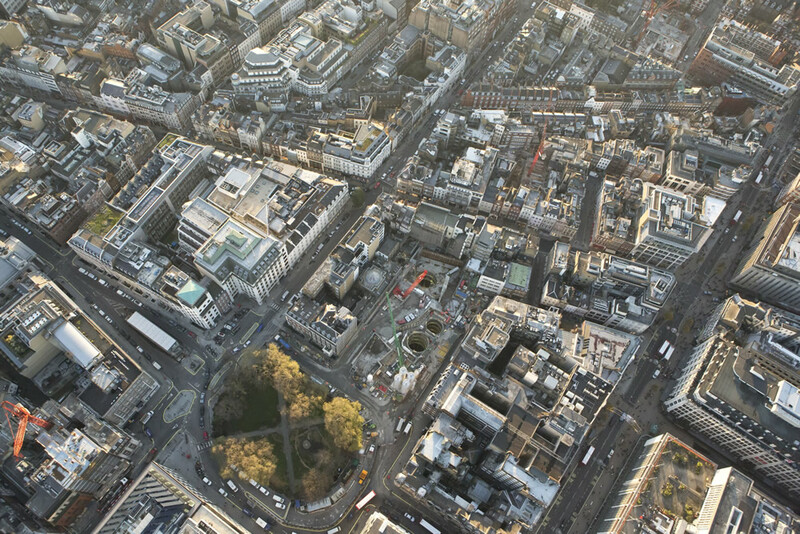 To most Londoners, Crossrail remains hidden – at least as long as works aren’t inconveniencing a daily commute. The dock north of Canary Wharf has now been filled in by a beehive of workers, but the serious work of tunnelling and station building is largely hidden out of sight. 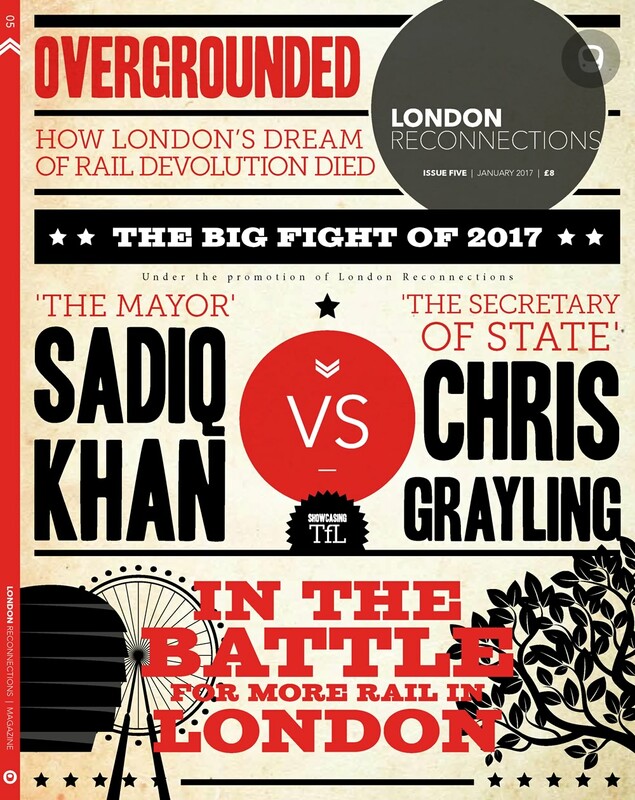 2013, however, arguably represents the point at which Crossrail’s visible profile will begin to climb, and so as the year opens this seems a good opportunity to take a look at the project again. 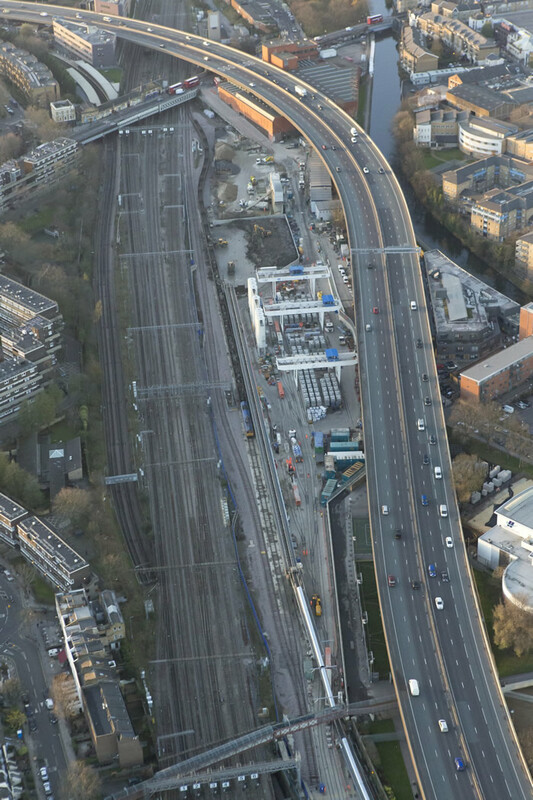 In the first part of this series, we will therefore resort to a tried-and-trusted LR staple – the aerial photo – to highlight some of the current workings on the Crossrail project. In the second part, with the help of LR Photographer-In-Chief Unravelled, we will revisit some of the works of particular interest – Custom House and the Connaught Tunnel – and we will take a look at what is happening at Finsbury Circus. 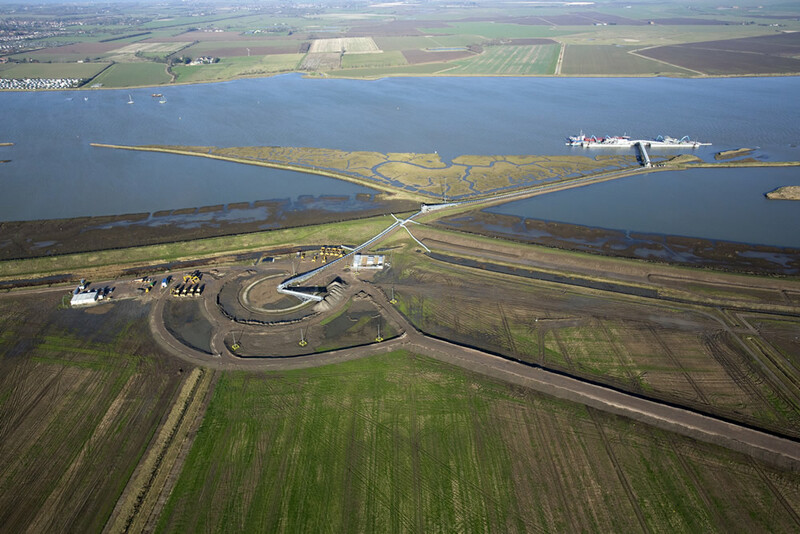 The largest new wetland nature reserve to be created in Europe for over fifty years, Wallasea is a prime recipient of Crossrail’s spoil and a key part of the project. 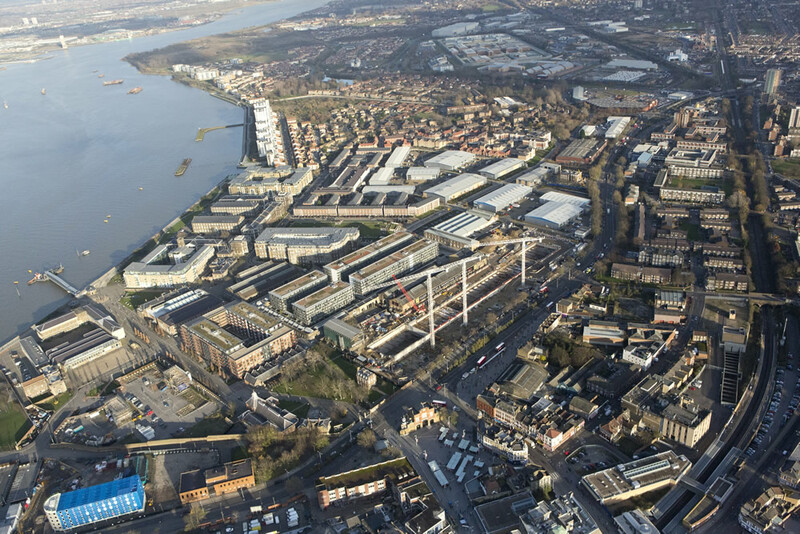 We’ve looked at this site in detail before, but the view from the air helps give some kind of sense of scale to the Crossrail spoil reception centre on the island. 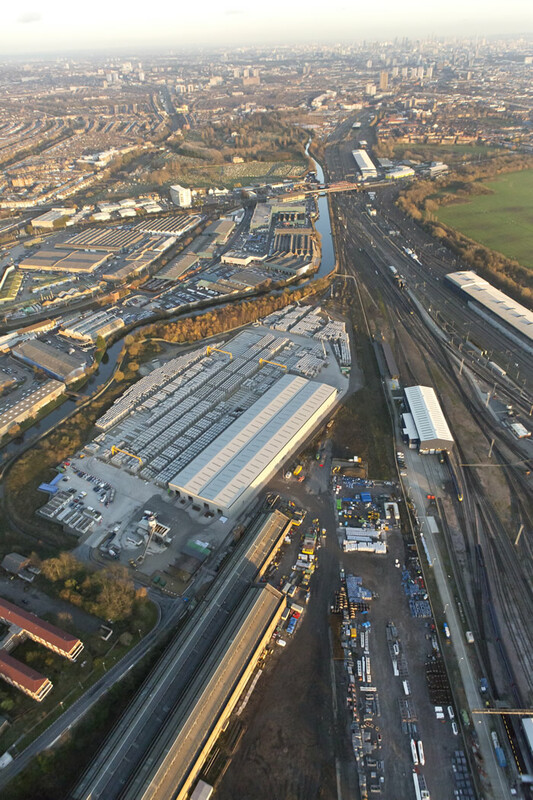 At Old Oak Common, manufacturing of tunnel segments is now in full swing. The photo below gives some idea as to just how large a task this actually is. 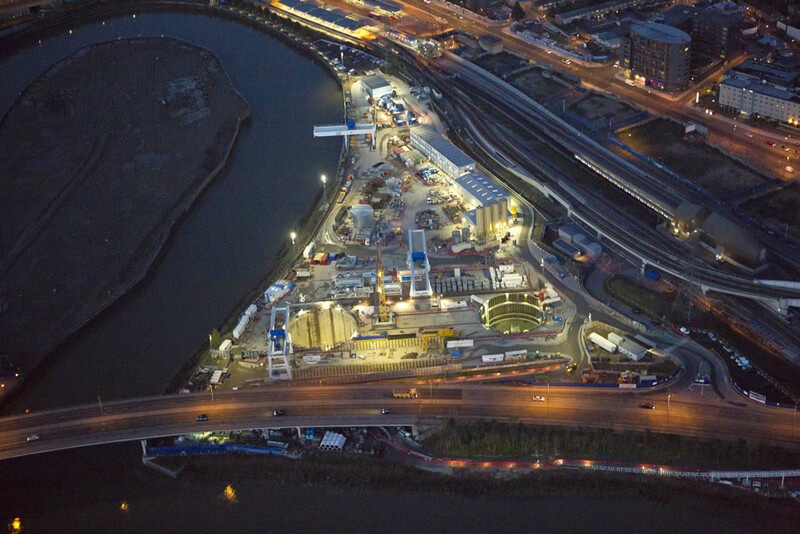 Crossrail’s longest active portal has had its share of issues in recent months, but tunnelling is progressing at the site. 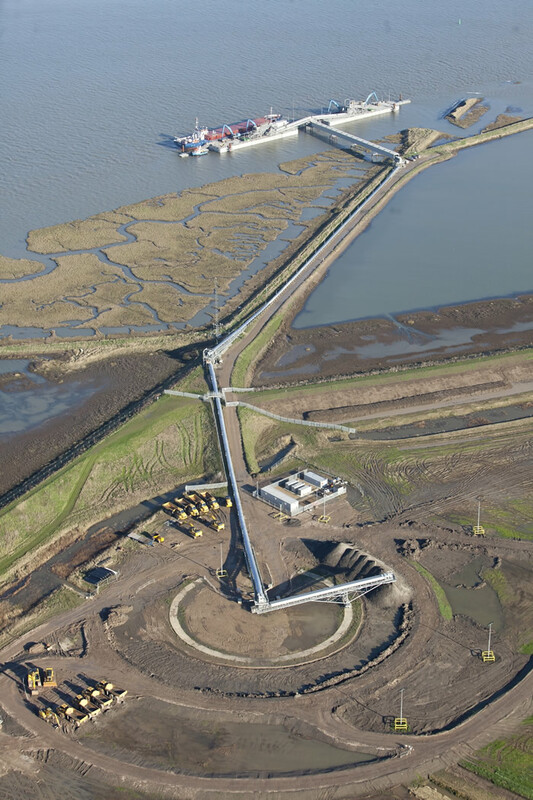 We last took a detailed look at the Portal back in September 2011, but will be revisiting it in detail once the report into the spoil conveyor issues at the site surfaces. 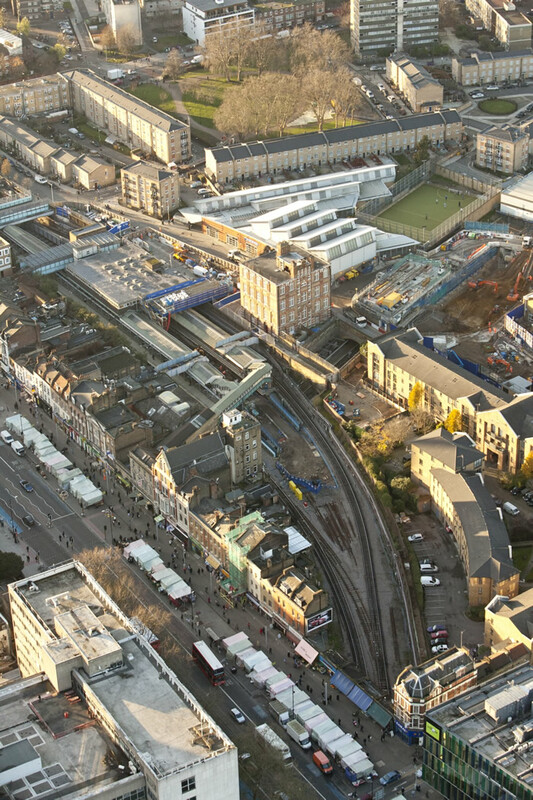 The photo also gives a rather nice view of Westbourne Park station, highlighting its thin frontage on the road bridge. 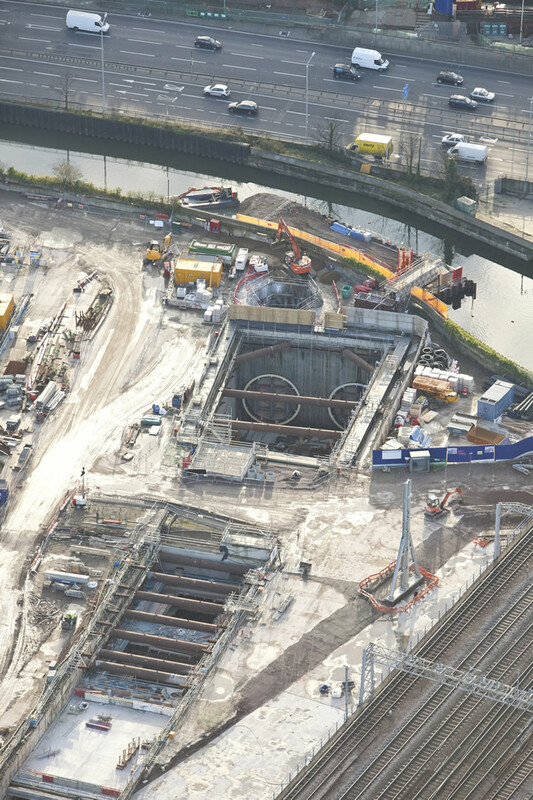 Beneath the surface, the Crossrail TBMs have now been beyond Paddington for sometime. On the surface, however, it is nice to see the new station beginning to emerge. 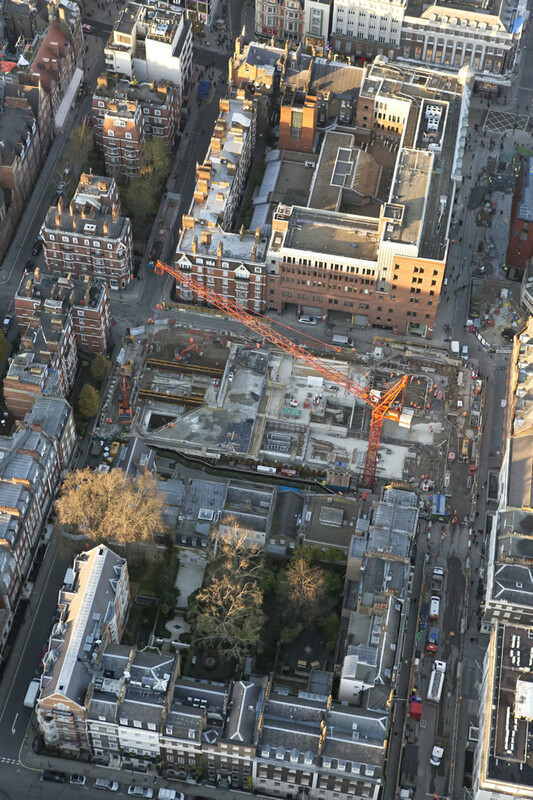 Bond Street is a site we have neglected in recent months, with Tottenham Court Road tending to be the higher profile work site in the area. We will take a more detailed look at what is happening at Bond Street in the coming months. 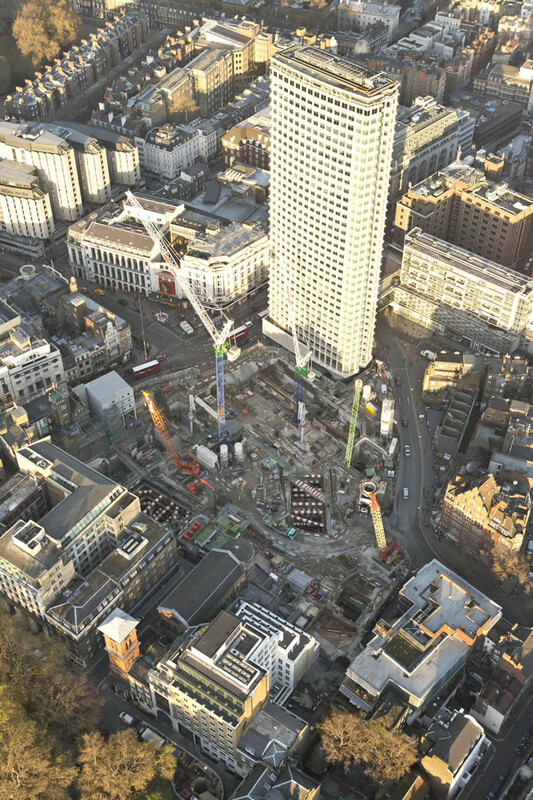 The Crossrail (and Underground) site at Tottenham Court Road remains arguably one of the most high-profile works in Central London. The photo below once again highlights just how restricted a site it actually is. In railway terms, Farringdon has changed enormously over its history. 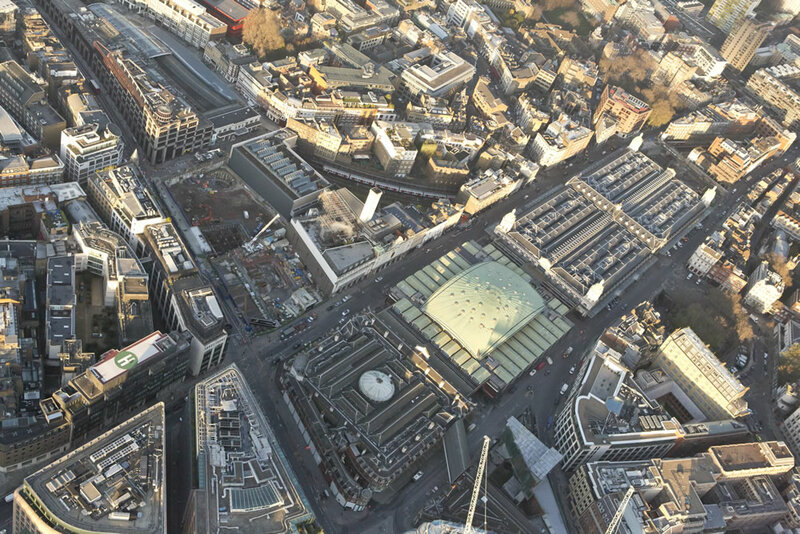 We’ve extensively covered the history of the railway in Farringdon before, but this photo nicely highlights the old-meets-new nature of the station and the alignments in the area. 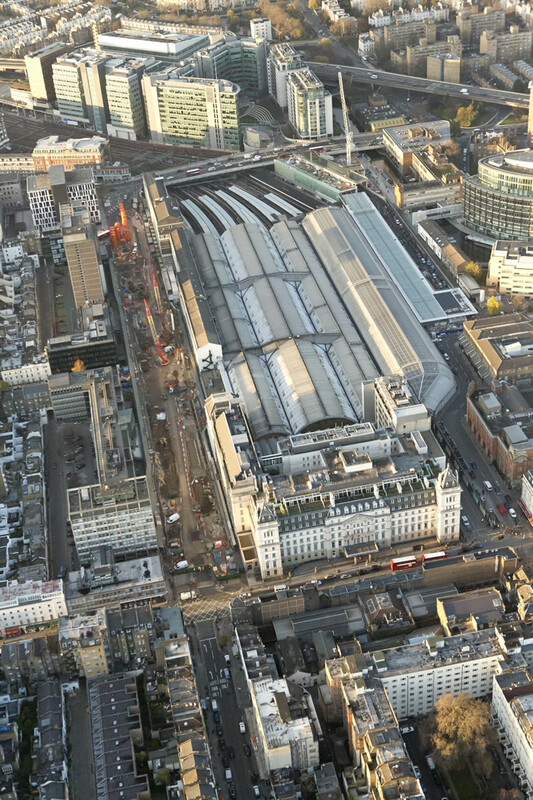 The Liverpool Street station works are something that we will visit in greater detail in Part 2. 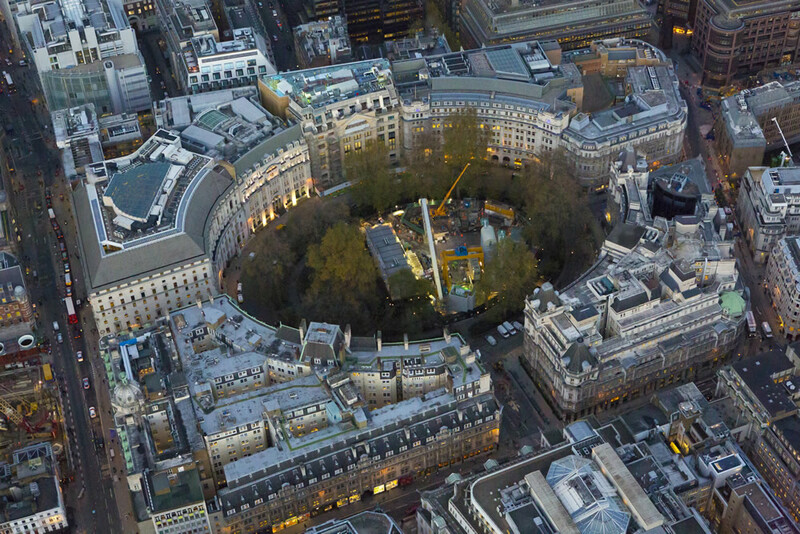 Once again, however, the photos below highlight just how much work is being fitted in to a very confined space in Finsbury Circus. 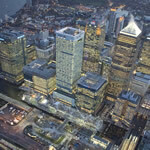 Crossrail’s Whitechapel station is another topic we will look at in more detail as the year progresses. For now, this photo shows how the Crossrail and Underground stations relate to each other rather nicely. 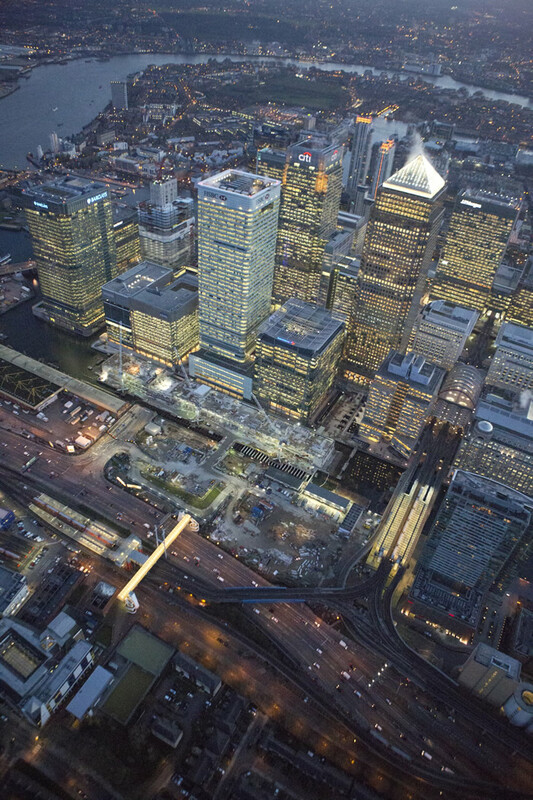 Canary Wharf is the most advanced of the Crossrail station projects, largely because Canary Wharf Group are pushing to have the shopping centre that forms part of the station open as soon as possible. 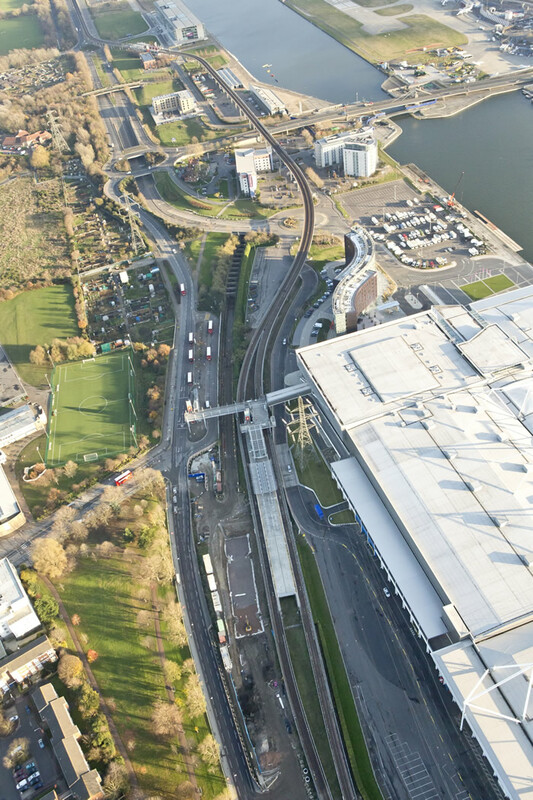 We were lucky enough to be there when Crossrail took possession of the Connaught Tunnel. 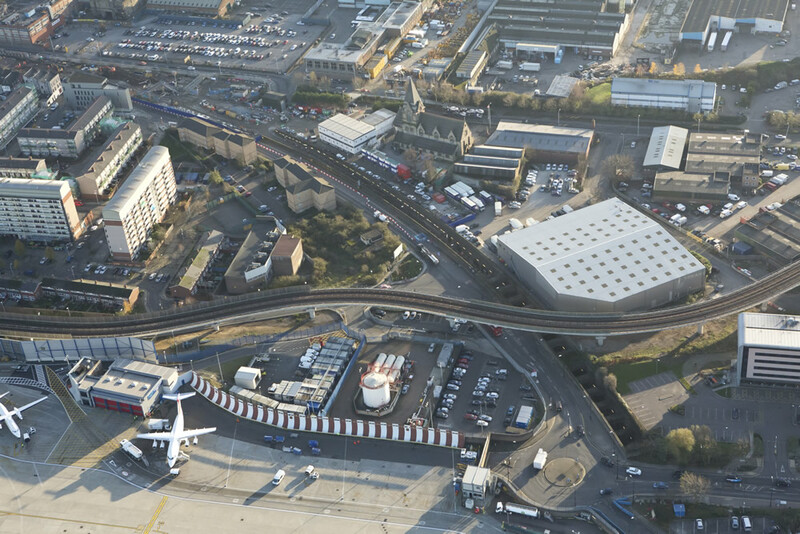 Both the tunnel itself and Custom House station will be looked at in detail again in Part 2, but in the meantime the photos below show the layout of the area rather nicely, and highlight just how close Crossrail passes to City Airport. We looked at what was happening below ground at Limmo relatively recently, but this photo shows quite clearly the limitations of the site. 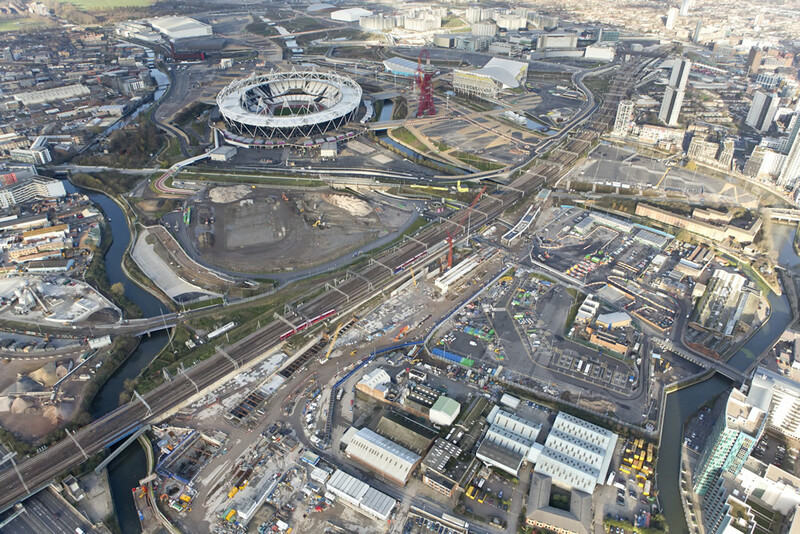 The Pudding Mill site will be one that’s familiar to Olympic and Westfield visitors. These photos show its relation to the general area nicely, and give a nice view of the tunnel head. The photo below nicely demonstrates just how narrow the Plumstead Portal for the slurry TBMs actually is. Our friend Ianvisits paid a visit to Woolwich last summer, which helps provide some context for the photo below. 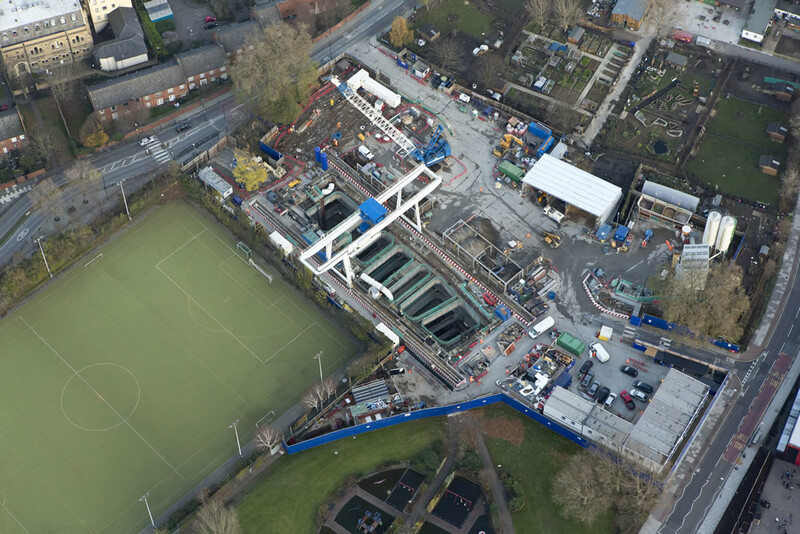 Possibly our favourite photo of this selection, the image below seems to sum up both Crossrail and London itself, with the football pitch, construction work, City Farm and houses all in view. 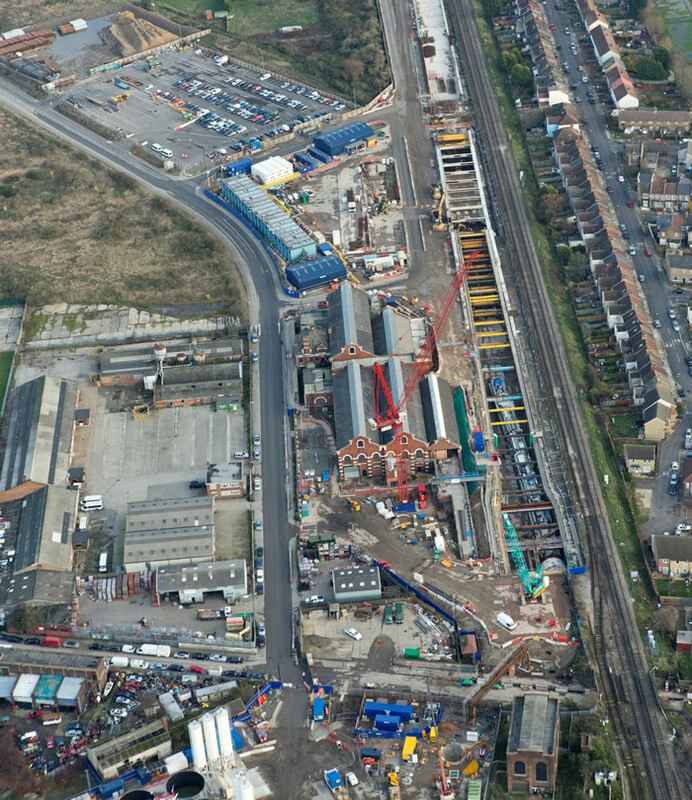 Stepney is an important point in the Crossrail route, as it is here that the line splits. Again, Ianvisits has an excellent piece on the site which is well worth a read. In Part 2 we will look in more detail at some of the key sites above, and explore how things have changed since our last visit to the Connaught Tunnel.